On behalf of the UXPA International Board and the 2017 Student Scholarship Committee, we would like to congratulate you on winning the 2017 UXPA Student Scholarship Award. Your entry was selected as it stood out to the judging panel for its content and originality. You will be joining us in Toronto next month for the UXPA 2017 International Conference! That was the email Tejas Chavan (MS in Information Systems) received informing him about the scholarship he’d just won to the UXPA 2017 International Conference. This wouldn’t be the first time Tejas has travelled to another country for a conference – in fact, the last time was less than a year ago – but it’s certainly going to be an event he will attend with career goals in mind. 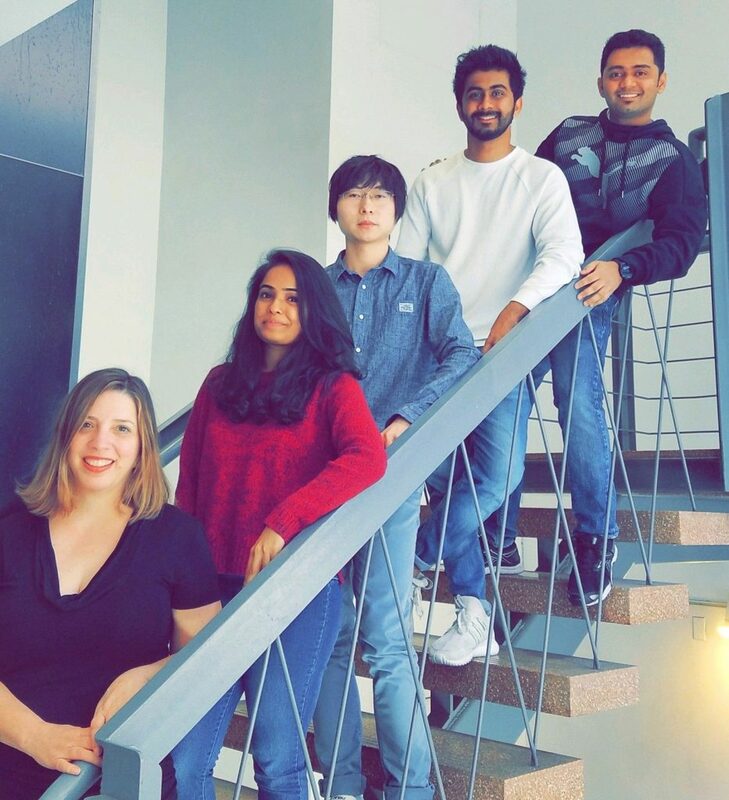 Tejas has spent his final semester working with Professor Stacey Sarris on an independent study project regarding research methods in human-computer interaction (HCI). It was while working on this project that Tejas met the president of UXPA DC, Ali Tobolsky. Tejas had been reaching out to UX industry experts to survey them for an assignment; Ali was one of them. The submission went through in time, and Tejas received an email from Sara Mastro, the UXPA International Vice President, and Jack Holmes, the UXPA Student Scholarship Award Chair, telling him that he was a scholarship recipient. The conference is taking place in Toronto this year, and Tejas will receive flights and transportation, four nights at a hotel, registration to the conference and a year’s membership to UXPA International. “I’ve already started packing my bags!” Tejas added. 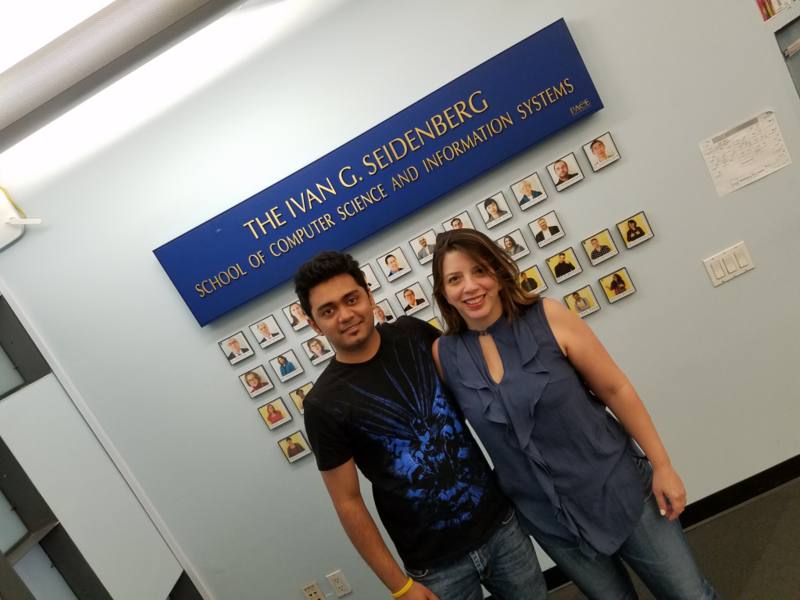 Not long after Tejas’ great news, the kind folks at Seidenberg decided they didn’t want him to be lonely, so we are sending his teammates with him to attend the conference and represent their project and the Seidenberg School in Toronto! Now, Abhishek Kale (MS in Information Systems), Nayana Madhekar (MS in Information Systems), and Honglin Yi (MS in Computer Science) will also get to attend and participate in this exciting conference. Congratulations to all four of these incredible students and to Professor Sarris! We can’t wait to hear how the conference goes!